The most important thing you should know about this book when it comes to me: I picked this book up at 10:00 pm and didn't put it down again until 2:30 am. I could not put it down, I could not walk away. Challenged by You is a highly emotional read, heart breaking, sweet, redeeming, beautiful. Challenged by You is also because of those reasons a heard book to review. I can't tell you too much because so much of it revolves around a secret that is the basis of the story and would be an absolute spoiler, which I refuse to do, if I gave any hint about it. 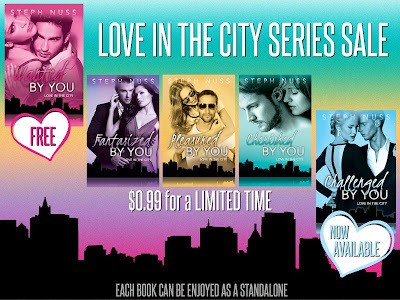 If you have read any of the Love in the City series before this one you know Paige and I think like me you have always been a bit 'turned-off' by Paige. She's always been a bit cold, a bit harsh but I can promise you in this book you will see her in a completely new light. You will understand her and it will both lift you up and break your heart. She isn't the woman we all think she is and the past that has made her this way, well...just get your tissue ready. Drake, he is the epitome of a Steph Nuss Hero, he's kind, he's thoughtful, he's romantic, he's handsome but not overly cocky about it. 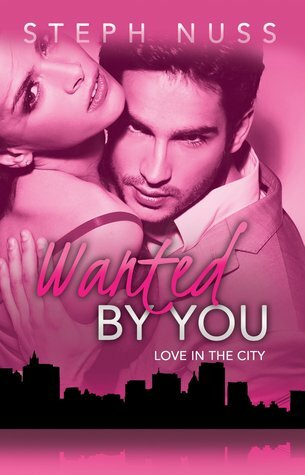 She writes guys that we don't often see if Contemporary Romances, they aren't bad boys that have to be reformed, they aren't jerks that are so incredibly hot and wealthy that the Heroine just can't help but fall in love. 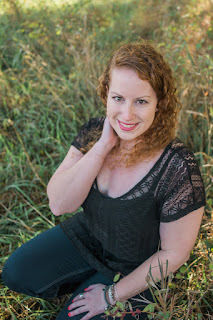 They aren't the guy that you constantly want to strangled, or the guys who talk in grunts and half sentences yet expect to be completely understood by the women they are attached to. Steph's Heroes are oddly and refreshingly 'regular' guys that you just love because that is what they are, lovable. Challenged by You is one of those stories that will remain with you for a long time. It is going to burrow into your heart, break it just a little, and make it swell with love. Steph Nuss tackles a difficult topic in this book and she does it beautifully. I will say that this book could be a trigger for some people, I know from personal experience of my own (though not of quite the same vein) that it could be more than a little emotionally difficult to read for some. I don't want to tell you what the issue is but if you are concerned about any triggers I would be happy to privately tell you what the issue is. On that same note, don't be afraid of this book, it is truly a beautiful book. Yes Challenged by You is a bottle of wine and a box of tissue kind of read, but it is wonderfully written, the characters well fleshed out and ones that you will root for. You will also get a glimpse back at past characters which is always a wonderful thing, I always miss series characters once we move past their own books. You can totally read this book without having read the others, it is a standalone within the series, but like I mentioned above you will see past characters and as you will have met Paige, the main Heroine of the story, in previous books. So absolutely go one-click this one, get comfy with your bottle of wine and your box of tissue and then be sure to come tell me all about it when you are done because I so want to talk to others about this beautiful story.